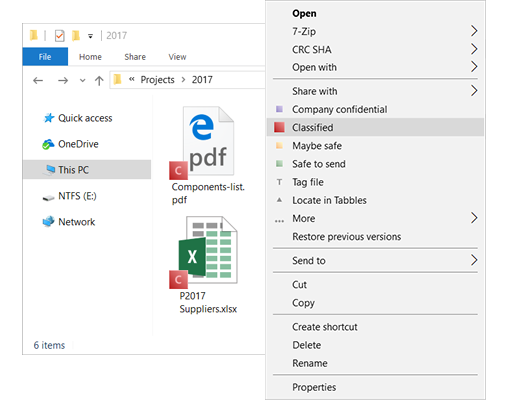 Confidential mines sensitive data in files and tags them visually in Windows Explorer. 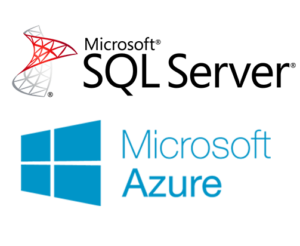 It solves data compliance requirements and data loss prevention, for enterprises and professionals, for files scattered on hard drives. 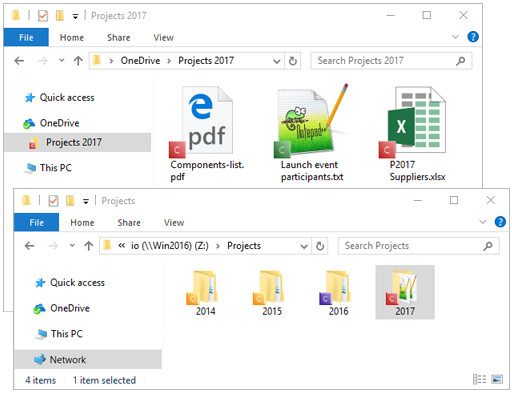 Works on local drives, shared-drives and Cloud folders. Find sensitive data for a specific person/company or generic, using smart rules, on local disks, shared-drives or Cloud. 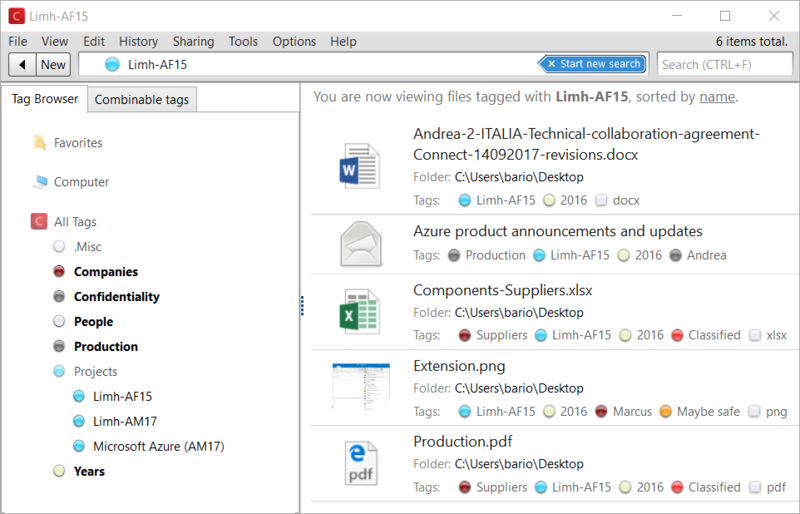 Let your team know what document should be checked on or cleaned up, with tags visible in Windows Explorer. 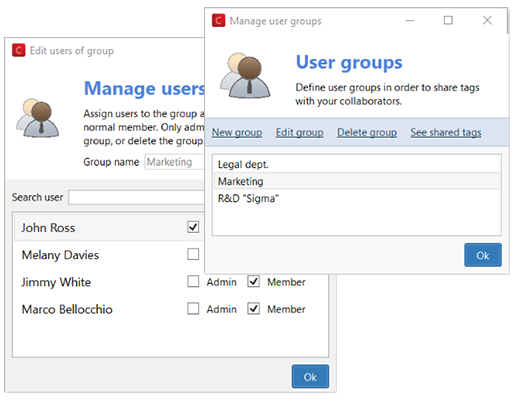 Collaborate and communicate using chat-like comments on documents and collaborative tag-sharing. 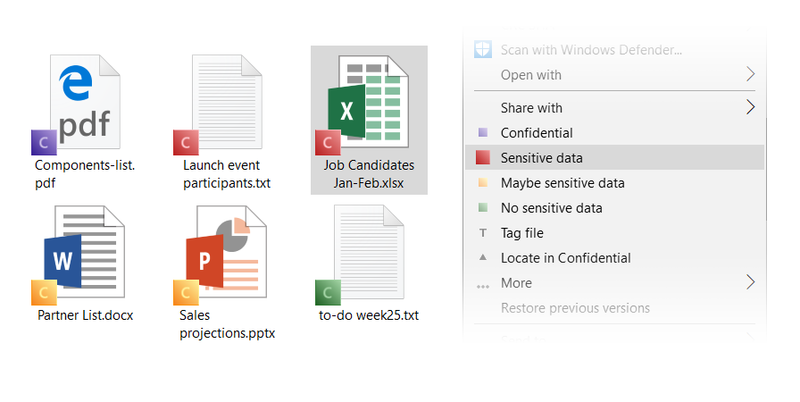 Confidential can scrape your drives and tag files that contain sensitive information: your team can visually spot them while browsing folders or find them and group them browsing tags. 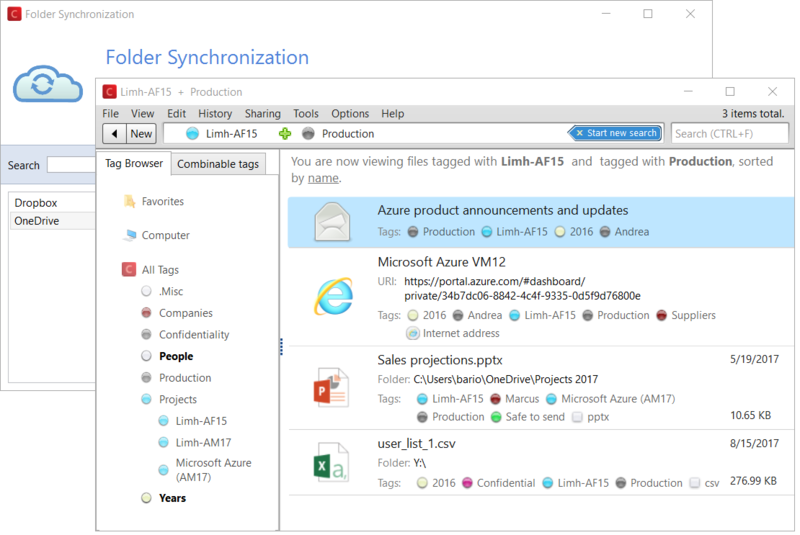 Supports synchronization services like Dropbox, OneDrive, Box.com, Amazon Cloud Drive etc. 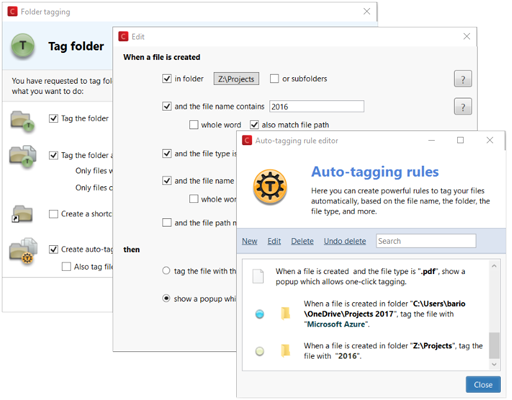 Data-mining: auto-tag files based on their content, name and location – get all your sensitive documents on a whole drive automatically tagged within minutes! Using Confidential’s Outlook plugin you can tag your emails and find them along your documents and bookmarks. 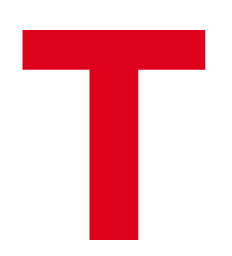 Manage your projects, files, email and bookmarks, through tags, along with your team. Tag Outlook emails: with our Outlook plugin, you can find your emails quickly and intuitively by combining tags. Confidential’s user interface, to tag emails supports nested tags, text completion, several sorting modes for tags, and much more.